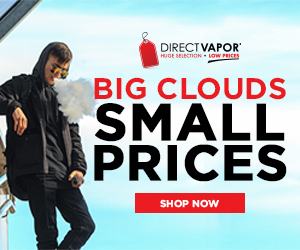 If you have been vaping for any length of time you have probably heard about advanced vapers building their own coils for RDAs and making their own vape juice (DIY). It is not hard to make once you know the basics. We will discuss some common ingredients and how to combine them. Read on to learn how to make vape juice like a pro. For those vapers wanting to get into coil building and juice-making, this is the part of vaping where it becomes even more fun and you get to be a bit creative. There are literally hundreds of flavor combinations that you can experiment with to find your own signature flavors. The first ingredient is the most important if you plan to make a juice that has nicotine. The rest of the ingredients are used to dilute the nicotine to the appropriate level (meaning 8, 12, 18 or 24mg of nicotine per mil). Nicotine by itself is very strong and must be diluted. There are additives you can add to it besides these to enhance the flavor such as sweetener, menthol crystals (if you like menthol), ethyl maltol ( a type of sweetener used in cotton candy flavoring), Koolada (a cooling solution in “icy” non-menthol flavors) and Tobacco Absolute. These are all optional flavor additives and are not required for any recipe to make e-liquid. These materials are needed for safe handling of nicotine solutions and for accurate measurements. ***Nicotine in high concentrations can be fatal if swallowed, always keep bottles tightly capped and out of reach of children. Wear gloves when mixing e-liquids and thoroughly wash all utensils in hot soapy water when finished. ***Keep all mixing supplies out of reach of children, including bottles of DIY vape juice. While diluted, nicotine solutions are safe to vape for adults, they should never be left where a child could get them. Always put them up on a high shelf that only you or another adult can reach. While you do have to take care when handling liquid nicotine, don’t let that scare you away from making vape juice. The nicotine base is diluted by the addition of PG & VG and the flavoring. The danger is in handling the un-diluted nicotine. Each of the basic ingredients listed above is food-grade quality and that is why they are safe to use in vape juice. Vegetable glycerine and propylene glycol are found in food applications, skin care recipes and more. VG is used as an alternative sweetener in low carbohydrate foods because it metabolizes slower than sugar. It is thick and syrupy with a slightly sweet taste. PG is a thinner liquid used in medicinal applications for inhaled medicines, injections and used topically in some ointments. For vaping, it is used as a flavor carrier. Flavor concentrates are used for making candy, cake, cookies, and other bakery items. The names listed above are ones that we recommend because they are more concentrated than flavoring bought from the grocery store and are safe for use in vape juice. There are several places online that sell mixing supplies and nicotine base. I would suggest going with a lower concentration of 48 or 36 mg until you gain a little more experience in mixing. This can be broken down and diluted to 24mg, 18mg or 12mg and lower easily. I wouldn’t suggest buying 100mg strength unless you are an experienced pro looking to make large batches for long-term storage. 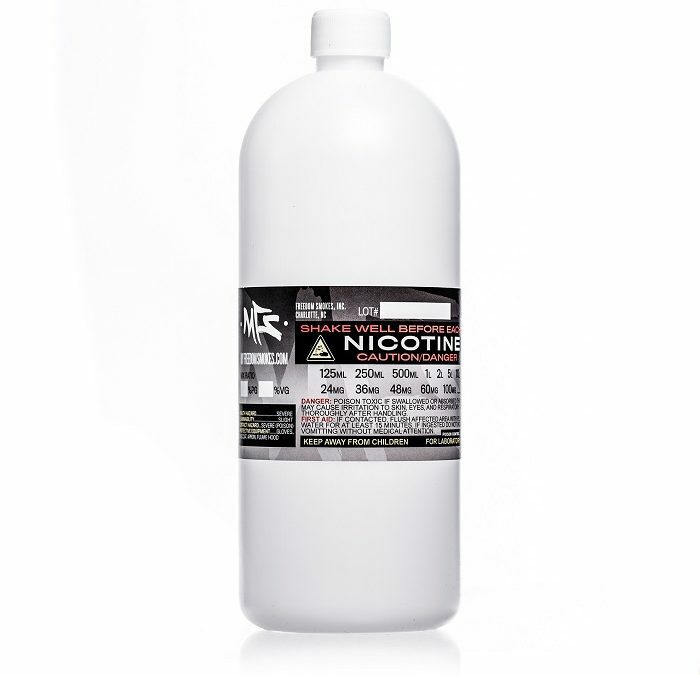 100mg strength nicotine base is very dangerous and can be absorbed through the skin. You still need to be cautious with lower concentrations but they are easier to work with and once diluted, the risk is much less. The first step is to gather all of your ingredients and mixing supplies. I recommend mixing only small quantities at first until you get a little experience at doing it and so that you do not waste any of your ingredients by making more than you will use at one time. E-juice Me Up is a calculator developed by a fellow vaper and is pretty easy to use. Download it to your phone or computer. Juice Calculator is another one you can download to PC. DIY Simple Recipe Mixing Calculator is another one with various mixing solutions. You can mix single flavors or whole recipes. Some of the combinations are a little more for the advanced vaper, but it’s easy to use. E-liquid Recipes.com is a calculator/recipe maker. It gives a list of recipes provided by forum users with an embedded calculator for making the recipe. EcigExpress.com is a large site with a recipe cookbook with several recipes to try. Another great place to get recipes is from vaping forums that have a section for DIY liquids like ECF (E-Cigarette Forum.com). If you haven’t already, I would suggest joining the site (it’s free) and you will have a connection to a large group of experienced vapers that are very helpful and don’t mind answering questions from new vapers. You’ll learn a lot and be part of a vaping community that helps each other. There is a section for DIY liquids in general, recipes and more. Here is a recipe page with links to more information on vaping and mixing for beginners. If you are a visual learner like me, Youtube has a lot of e-liquid mixing tutorials that will show you how to create flavor profiles and mix simple flavors. It helps sometimes to see someone else doing it the first time to understand what is being used and how much, rather than just reading it. Put on gloves and open nicotine base. Add the specified amount of Vegetable Glycerine (VG) to the bottle. Add the specified amount of Propylene Glycol (PG) to the bottle. Add your flavoring or flavors (between 5- 10% of total) to the bottle. Cap the bottle tightly and shake thoroughly. When you purchase e-liquid from a merchant it is mixed that day and is partially steeped by the time you receive it. Steeping improves the flavor of your mix over time. It’s like aging wine or cheese, it lets the full flavor of the juice develop. You can mix and vape if you are out of e-juice or don’t want to wait to try your new creation but the flavor may be muted until it has time to sit. Once you have mixed your e-liquid there are two methods for steeping your juice. One method is to place the bottle of e-juice is a dark place away from sunlight, like inside a cabinet or drawer and check it in a week. Fill a tank and vape it and see if you like the flavor. If it’s not quite strong enough put it back in for another week and check it again. Every couple of days take the cap off and let it breathe a little. Your e-liquid will turn colors but that is normal. It will go from clear to a yellow or slightly yellow to tan color. The second method of steeping is called a “water bath” and involves placing the bottle of newly-mixed e-liquid in a cup of hot water and allow it to sit for 1 – 2 hours (keep the water warm by microwaving the cup of water without the bottle in it). After an hour or two it should be a slight yellow and you can try it to see if it is right. If not, put it back in for another 2 hours. Some vapers create several bottles at a time and like to put them in a crockpot full of water (just to the neck of the bottle) to maintain the heat. Know you know how to make vape juice. Give some recipes a try and get your feet wet. You will eventually learn to create your own recipes through trial and error and find little tips and tricks to simplify the process even more. You can learn a lot by joining the forums as the vapers there are always ready to help answer questions for new vapers wanting to learn to DIY. You can also check out all the License to Vape guides to get the best vaping information available online.